Nikole Paterson doesn’t do love, or long-term relationships, or super serious anything with guys. She’s all-fling, all-the-time thanks to a boyfriend long ago who tried to gaslight her and destroy her spirit. 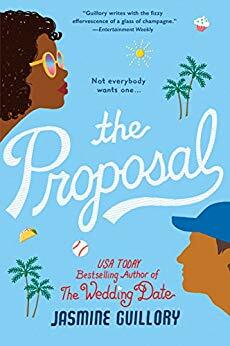 So when the latest dude-bro-with-a-nice-bod Nik is dating decides to propose out of the blue on the baseball game Jumbotron, her day goes from boring normal to tilted on its access. It’s a hop, skip, and a jump from rejection to social derision. Luckily, our hero, Carlos Ibarra is there to save the day, and he is a fine piece of feminist male. Yes, you read that right. I said he is a feminist male. Sure he still likes to help woman out, and protect them, but he knows when to back off and empower them. To let those ladies in his life, like his sister and cousin, fend for themselves. Nik finds this Carlos guy impressive and so unlike the men she’s dated in the past. Especially since Carlos is a doctor… the career the a-hole who gaslit her all those years ago had. Without planning or expectation, Carlos and Nik form a friendship fueled by mutual attraction and a genuine appreciation of their talents. Carlos is a foodie, Nik a good listener. What starts as a few fun dates turns into sexual escapades that aren’t as much scorchers, but emotionally satisfying. I don’t need crazy bedroom antics to push my buttons. I loved all these aspects, the slow burn and growth of Carlos and Nik, to the ways Carlos shows he’s not like those other guys. It’s not all about him in the bedroom or out of it. He tends to put Nik first and I admire that. Add in Carlos strong sense of loyalty and responsibility to his family and I practically swooned. Other things I liked, Guillory knows how to build a diverse cast and world that I want to live in. Descriptions and detailed food scenes transported me to California, and I’ll admit I’m even more interested to visit now. There are slices of life intermingled into the story that don’t dominate the plot or slow pacing but humanize and make the contemporary aspect more relatable. I love how throughout this story the female characters emerge as strong, capable, and brave from running cupcake shops to birthing babies at 36 weeks. What keeps from me giving this more stars… I’m not sure. I’ve been thinking about this for days, but the bottom line is that for me I could put this book down and walk away. It wasn’t something I devoured with quick page turns or an eagerness to get to the end. The book itself is a slow build, that left me with good feelings, but nothing super-wow factor. I appreciate the growth of both characters, their obstacles, and the inevitable fall into love with each other. Call it lack of angst, heavy conflict, or lack of high stakes that ultimately leaves this on the edge of 4 star territory. Bottom line I think this book is best for readers who want something sweet, fun, and empowering. I look forward to reading more from Guillory, and the pleasure of slowly digesting her stories. For readers who like Kristin Higgins.